live episodes | Book Fight! 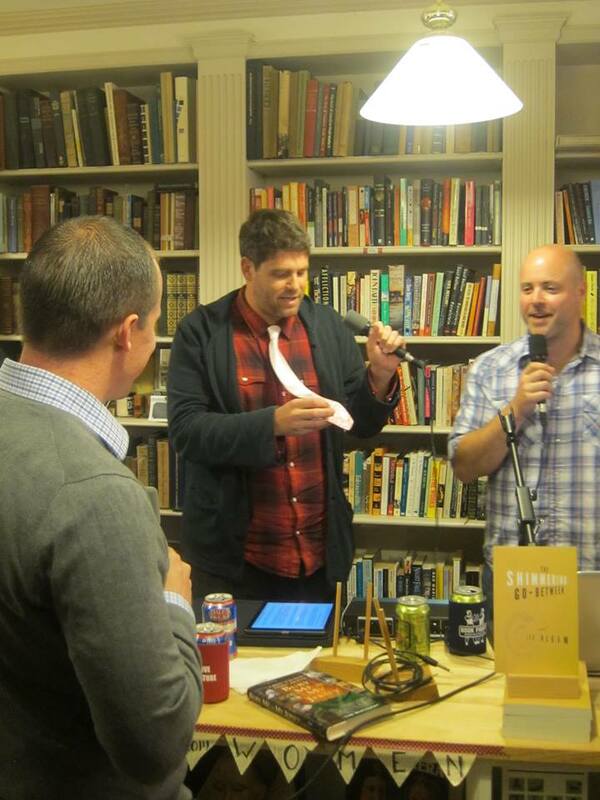 Live from the Spiral Bookcase in Manayunk! This week: Our first-ever live podcast event! 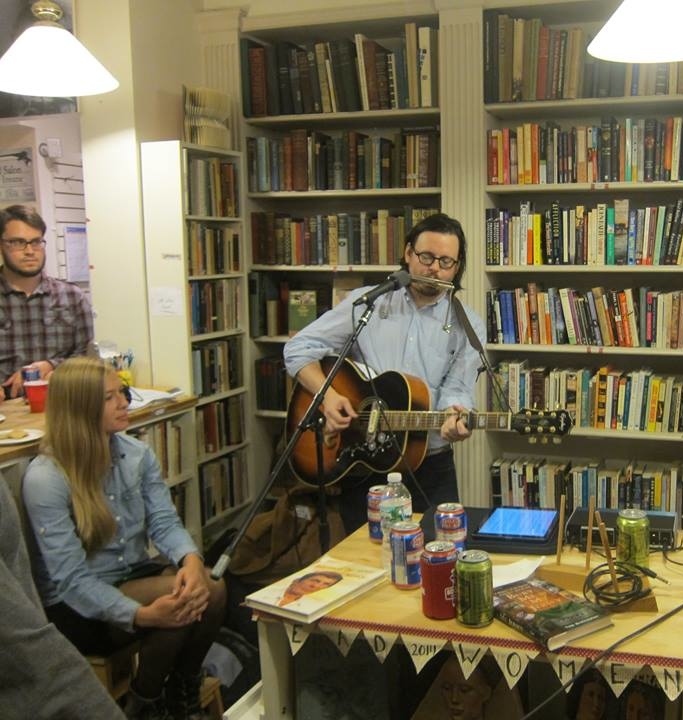 We recorded an entire show live, in front of actual humans, at The Spiral Bookcase, a great indie bookstore in Manayunk, just outside Center City Philadelphia and only a couple blocks from Tom’s ancestral home. We talked to Ann Tetreault (owner of said bookstore), Joey Sweeney (musician, writer, proprietor of Philebrity.com), Katherine Hill (fan favorite, author of The Violet Hour) and Lee Klein (author of Thanks and Sorry and Good Luck, and The Shimmering Go-Between). Topics on the menu included: what it’s like to run an indie bookstore in 2014, Philadelphia’s culture of complaint, the sometimes annoying ways in which people use Kickstarter, Philadelphia’s upcoming 215 Literary Festival, the Washington Football Team, the ups and downs of being a first-time author, unicorn ties, and what to do when Marilynne Robinson doesn’t like your book about auto-fellation. Also, Joey played us some music! And there was an awesome cat! Sadly, you can’t hear the cat. You can, however, hear the rest of us. As usual, you can stream the episode right here on our site, or download the mp3 file and do with it what you will. You can also check us out in the iTunes store, where you can subscribe (for free!) and never miss another installment. If you like the show, come on back next week for a new episode, and tell your friends. Thanks for listening! Categories: Episodes | Tags: adorable bookstore cats, Atticus Books, Barrelhouse Books, Joey Sweeney Philebrity, Katherine Hill The Violet Hour, Lee Klein Thanks and Sorry an Good Luck, live episodes, Philadelphia's culture of complaint, The Spiral Bookcase | Permalink.